The cities are splendid with mystic pagodas, water parks, fancy pools, exotic candy shops and interesting weekend walking streets. The countryside is perfect for walking, hiking, biking and sightseeing. And the beaches are so fabulous with crystal water and white sands, offering both convenient accommodations and luxurious resorts. 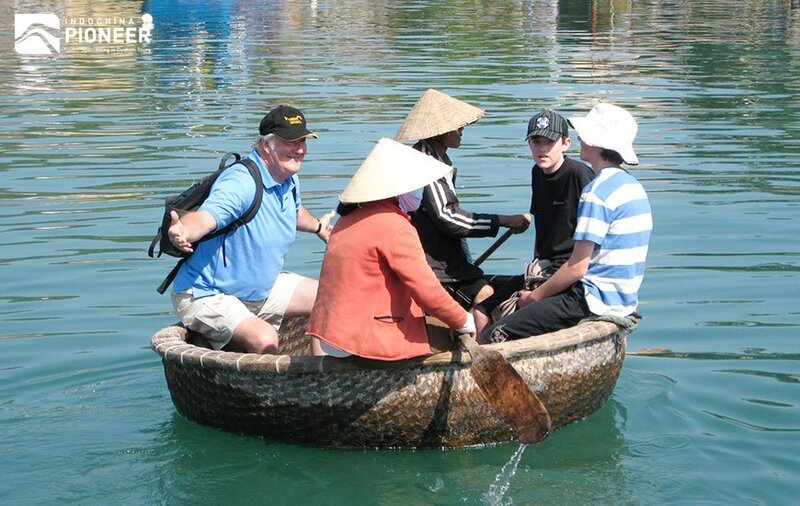 Welcome to your next family destination: Vietnam! 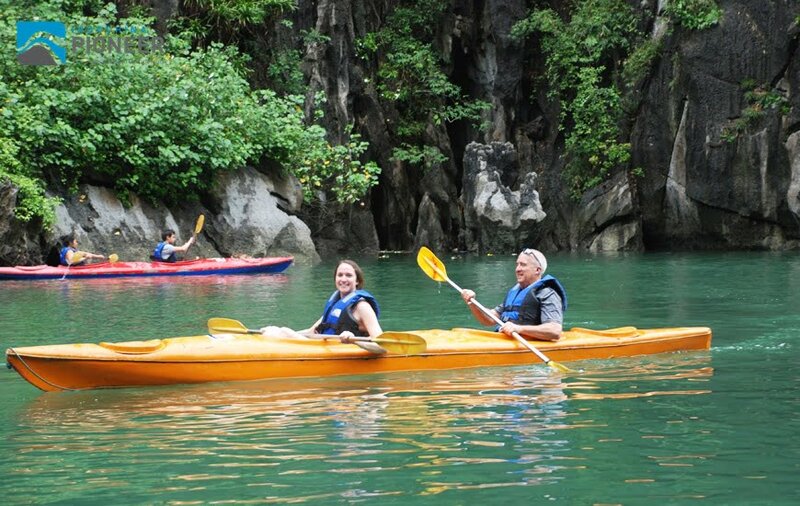 So what do you need to prepare for a perfect Vietnam trip with you family here? These tips below definitely should be in your notes. 1. What should be in your luggage? The whole family will be there, in a total strange country, so what should be packed will become a big concern especially if you are going with your newborn or kids. Heavy luggage is obviously not comfortable at all, however we also don’t want to have that exhausted feeling when looking crazily for something which is really necessary at that time. Travel documents, which includes passport, visas, travel insurance certificate, air tickets, and tour voucher. For the Vietnamese Visa on Arrival, please make sure you have 2 passport sized 4 cm x 6 cm photos and $25 for the stamping fee per family member. Money, yes, of course! In Vietnam you could use cash and credit card (just make sure you let your card issuer bank know you’re going to use your card in Vietnam for security). You should have an amount of Vietnamese Dongs for your convenience (and for your great feeling of a millionaire! ), in case you cannot prepare much before the big trip, don’t worry as exchange money in Vietnam is super easy, and many restaurants and places accepting foreign currencies. Medication, including a doctor’s letter if you are carrying a large amount of medication, prescription glasses and contact lens solution if required. Insect repellent will be useful if you go with your kids. Camera will soon become your inseparable thing, because this country is too beautiful to miss even a small scene. If you don’t carry a camera or phone with good camera along, you and your family members will definitely have a big regret. 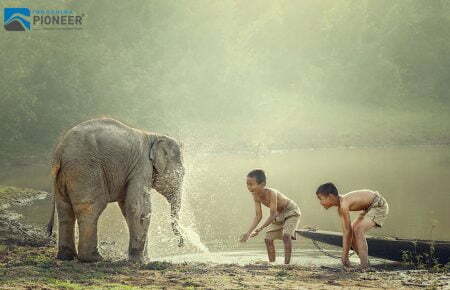 Kids’ Stuff: When your kids are happy, you are happy. Make sure all of your kids essentials are packed and ready, perhaps with their favorite toys, comic books, snack and coolest outfits… Adults like to enjoy new things yet kids prefer their own familiarities. If you travel solo or with travel buddies, having a clear mission of experiencing and discovering, weather sometimes is not a really big problem. In some cases, the inconvenient condition is even preferable as it could avoid tourist crowds. But if you go with your family, weather patterns of Vietnam will be something that is noteworthy. Despite the fact that lying entirely within the tropics, the Vietnam’s climate surprisingly varies from region to region. As a destination is possible for all-year-around travel, you could choose the time schedule and places to visit as suitable as much with you and your family members. It is not a bad idea to experience both the chill of winter in the northern highland, and getting tan on some sunny, stunning beaches in the south, in only one trip. 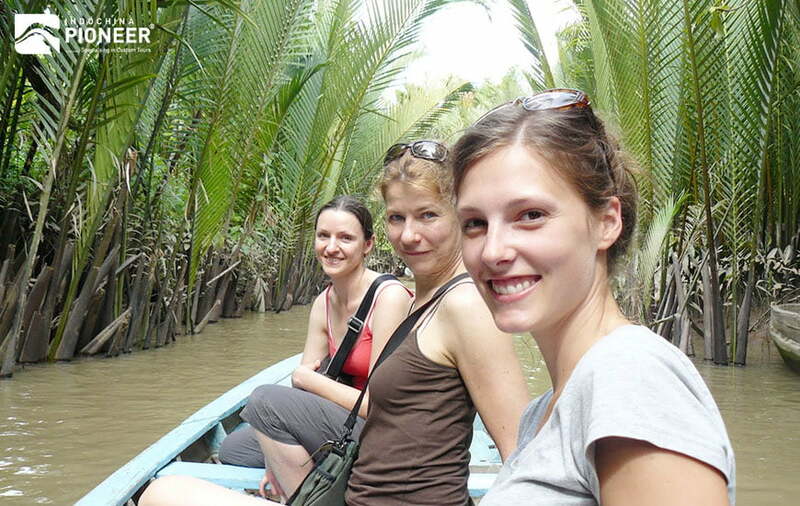 A good study on Vietnam weather on your vacation time helps a lot with your packing list too! In the North (from Hanoi to Sapa), a year has 04 seasons: Spring, Summer, Autumn, and Winter. Spring lasts from February to April with warm weather. In spring, it is characterized by fine drizzle that helps plants grow fast and flowers bloom brightly. Summer lasts from May to August with hot and showery weather. The sun shines all the day time, and there are occasionally sudden thundershowers that refresh the day. Autumn lasts from September to November with cool air, and dry and slightly windy weather. It can be said that it is the most beautiful season in a year with yellow leaves falling on the streets and yellow bright shines in day time although sometimes typhoons bring in some heavy rain and flood in the central part of the country. Winter lasts from November to January with cold and dry weather. Frost and snow once or twice come in the mountains (over 1000 m above level sea), that make Vietnamese people eager to go up to see and take nice photos of such rare events of a year. The center (from Nha Trang to Hue) sunbathes most of the year, and enjoys its showers for the whole November and December. Dalat, at an altitude of 1500m, is cooler than the coastal area, particularly from November to March. Da Nang and Hue both experience typhoon activity from mid October to mid December when the climate becomes cooler, more overcast and wet. The Southern region (from Ho Chi Minh City to Phan Thiet) is predominantly sun-equatorial with two main seasons of wet rainy one and dry one. A wet rainy season ranges from April to September. Showers often rain heavily but stop quickly. A dry season spans the months of October to May. The weather becomes hotter with all days of sunshine. However, it becomes much cooler at night. Foods take a big portion of our concern in every trip. It is not really “What will we eat there?”, but more exactly is “What can we eat there?”. 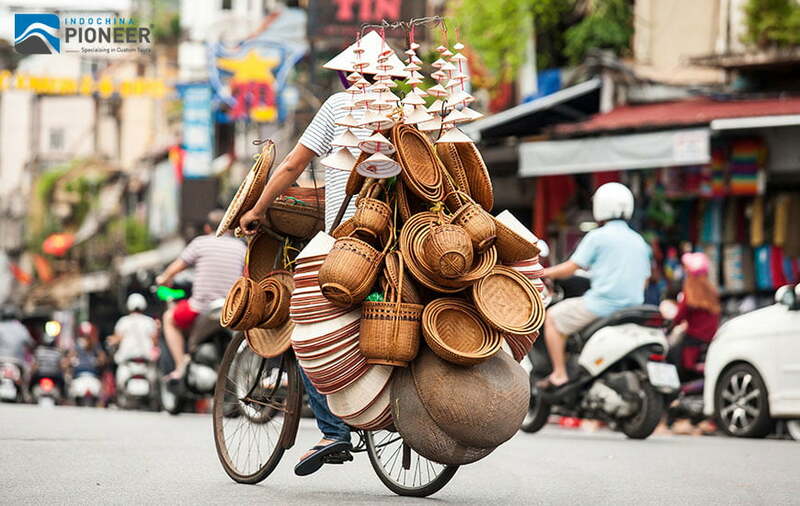 But Vietnam is a different story, as this nation’s culinary art is so excellent and diverse which can charm anyone. 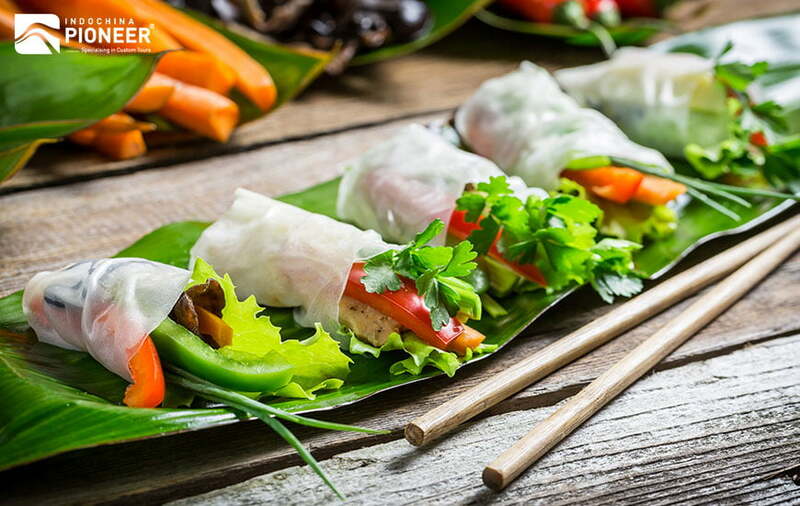 Not like other Asian countries, where Western Travelers sometimes cannot find anything suitable with their tastes, the culinary art of Vietnam is combined by both Asian and Western cultures because of their rich history. Therefore anyone is able to find something fitting their stomach, regardless their age or nationality. 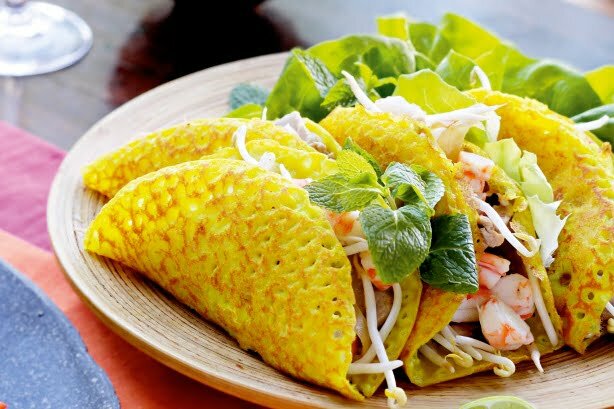 Big cities like Hanoi or Ho Chi Minh (Saigon) is truly a food heaven, where you can find any type of restaurants for your family, from vegetarian dishes, French delicacies, Italian best known to traditional Vietnamese cuisine. The soul of food art is actually right at the pavement, not convinced yet? A “Banh mi” or a bowl of “Pho” surely will confirm their fame. 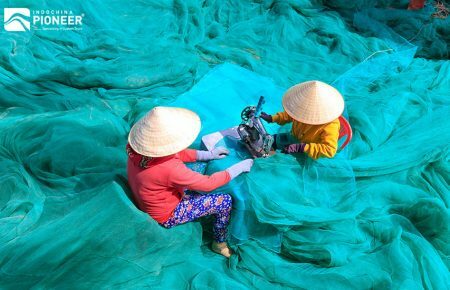 The countryside is where you could experience real Vietnamese traditional meal cooked by your homestay host. And the beaches are fantastic with exotic seafood. The most beautiful thing is that they are at a very good price level. In this country, you can enjoy the true meaning of “Eat, Pray and Love” spirit. However, if you have problems with allergy or your kids need something special, you will need to discuss with the staffs about your family conditions and the foods’ ingredients before these fantastic meals start. … Because there are so much things here to discover! This country will be a heaven or a mess; all depend on your plan. You could go for a walk, enjoy a water puppet show, visit temples and pagodas, add some vitamin Sea, trekking in the mountains, etc. They are countless. So all you need to do is clarify clearly what your family travel goal, whether it is a cultural discovering tour, or a beach trip. 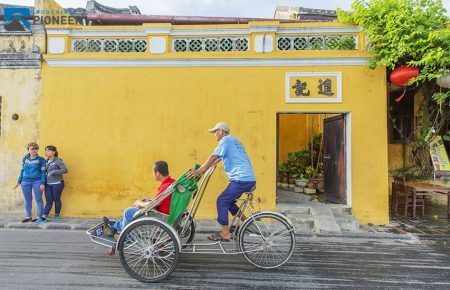 Cyclo: For a thrilling street-level tour of a city, you can’t beat a spin in one of Vietnam’s pedicab. Negotiate the rate ahead-$5is typical for an hour—and don’t hesitate to tip. Pagodas and Temples: Southern shrines are wild and wondrous, those in the North more lacquered and somber. Visit on full- or new-moon days- ask at your hotel- when Buddhists come to light incense and pray. Pickup Soccer: Vietnamese children spend their park time caught up in soccer, and they’ll be thrilled if your kids join them. Custom Tailors: Let your junior fashionistas design their dream outfits— and get overnight results!—at one of Vietnam’s affordable tailors. This is the best way to ignore your worry burden, as they will help to design the perfect itinerary depending on your needs and wants, give you travel advices, take care of each family member, and also the paperwork. Local tour operator should be in the reference list, as they definitely understand their country and its culture more deeply than any outsiders. Arranging a private tour with the specialists will be cost-saving, less time-consuming, and much more conveniences added. Don’t make your kids cry or your mother grumble along the road. Make the right choice!